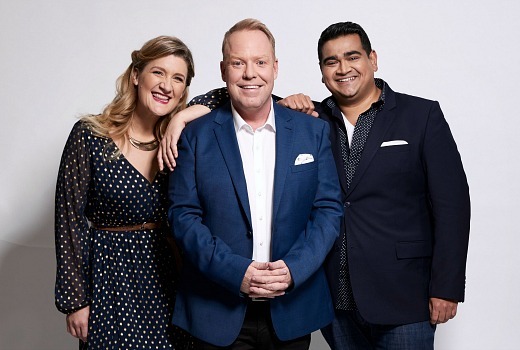 Pete Helliar to host new TEN game show, CRAM. TEN is showing no signs of slowing down despite its current predicament, announcing a brand new game show, CRAM, to be hosted by Pete Helliar. The UK format, to be produced by ITV Studios Australia, will pit two teams of comedians and celebrities tested on their memories across general knowledge categories. Each category will be introduced with a “cram”: a brief video on any subject from dogs to Leonardo da Vinci, jeans to Justin Bieber. The team that recalls the most facts is the winner. The teams will be captained by comedian Dilruk Jayasinha and actor Virginia Gay. “I am thrilled to be hosting the exciting new television quiz, panel, game, fantasy, family-drama, comedy CRAM,” said Helliar. “It’s something I wasn’t expecting but as soon as I started playing I was hooked immediately and wanted in. It’s highly addictive and I can imagine Aussie families taking to this as passionately as I have. Producing are Peter Beck (Talkin’ ‘Bout Your Generation, Mad As Hell, Dancing with the Stars) and Peter Lawler (I’m A Celebrity Get Me Out Of Here!). ITV Studios CEO and Managing Director, David Mott, said: “This unique ITV Studios format is simply drop dead funny with the game play for our celebrity guests and viewers at home. It will be filmed TEN’s Sydney studios in front of an audience and premiere later this year. Not sure about this show but I’ll give this program a try. Sounded good until I saw the name Peter Helliar. Surely they could of found someone who was actually funny? I’m a big fan of Peter and will definitely give this a go. Channel 10 know how to get a laugh, so I hope this works too. don’t find Pete funny to be honest. this show sounds like a mix of Behave Yourself and HYBPA. It sounds very GNW like. Surely that’s due for another revival sometime soon.? Two of my least favorite people on TV (Pete and Virginia) – so def wont be watching. Can not imagine Helliar hosting a quiz show, he constantly falls over his own words, speaks while grinning, hard to understand most of the time. Ah so that’s what the show is called. Missed out on tickets last weekend but it was all hush hush the name wasn’t even announced. Now I want to go see it lol. Hopefully more like HYBPA and less like Behave Yourself. Sounds like a great show, I look forward to this. I love Peter Helliar. Channel 10 has a Head of Comedy?